Billy Bragg is a sensitive writer, but the timbre of his voice means that his songs often sound like arguments. This isn’t necessarily a criticism. I remember seeing him on a bill with Joan Baez, Emmylou Harris, Steve Earle and Chrissie Hynde, and his humility was the glue that held the show together. When he sang, his voice blended the bluntness of punk with the idealism of 1960s folk. But he’s also a romantic, and his best work transcends politics. Mr Love & Justice contains both the best and worst of Bragg, and the inclusion, with early copies, of a solo version of the album, shows just how important his band The Blokes have become in softening his sound. Solo, even his kinder moments sound angry. With the band – and especially the Hammond and piano of Small Face Ian McLagan – his soul shines through. He’s never going to be Levi Stubbs, but he can evoke tenderness in a way that doesn’t sound artificially-sweetened. The worst first: “The Johnny Carcinogenic Show” is a pun too far. The song makes a reasonable complaint about brand loyalty and Big Tobacco, but the justice of the case never gets beyond that clunking piece of wordplay. Similarly, the lyric of “M For Me”, about “living in clover” is a mite contrived, as Bragg comes over all Scrabulous: “Lose the ‘c’ for commitment and the ‘l’ for love and it’s over baby…”. These games are best avoided unless you can dance like the Four Tops. But the straight love songs really are fine.” You Make Me Brave” is like one of Paul Weller’s gentler moments from All Mod Cons, as a weakened Bragg takes succour from the strength from a relationship. Best of all is “I Keep Faith”. McLagan’s Hammond’s drones, as Bragg delivers a hymn of affection and endurance. He’s supported on vocals by Robert Wyatt, who sounds, as ever, like a bewildered angel. There is, in these sublime moments, no argument. 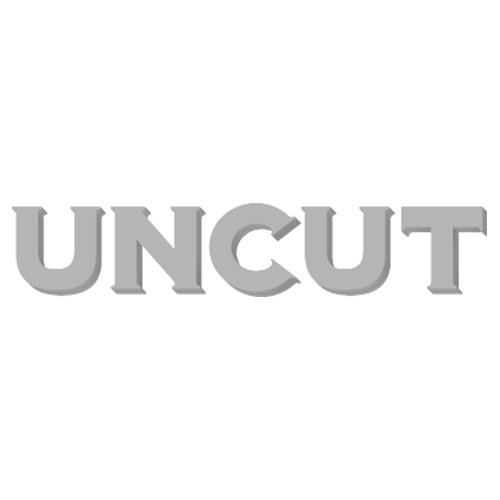 UNCUT: Why the long wait for this LP? BRAGG: It’s my first album since 2002, though in mitigation I’ve written a book and done the Jail Guitar Doors project (with Mick Jones). Writing a book is akin to sailing round the world single handed. It took up the space where the follow-up to England Half English would have gone. How did you write this one? I was out SXSW last year, and the first few soundchecks when I plugged the guitar in and got to play it loud, songs just came spilling out. I came back with half a dozen either totally written songs. We think of you as a solo artist. What’s the role of The Blokes? It’s a Billy Bragg album, but it’s got The Blokes playing on it. The thing that’s different is that on the last album The Blokes did quite a lot of writing with me. This one is all my own work.